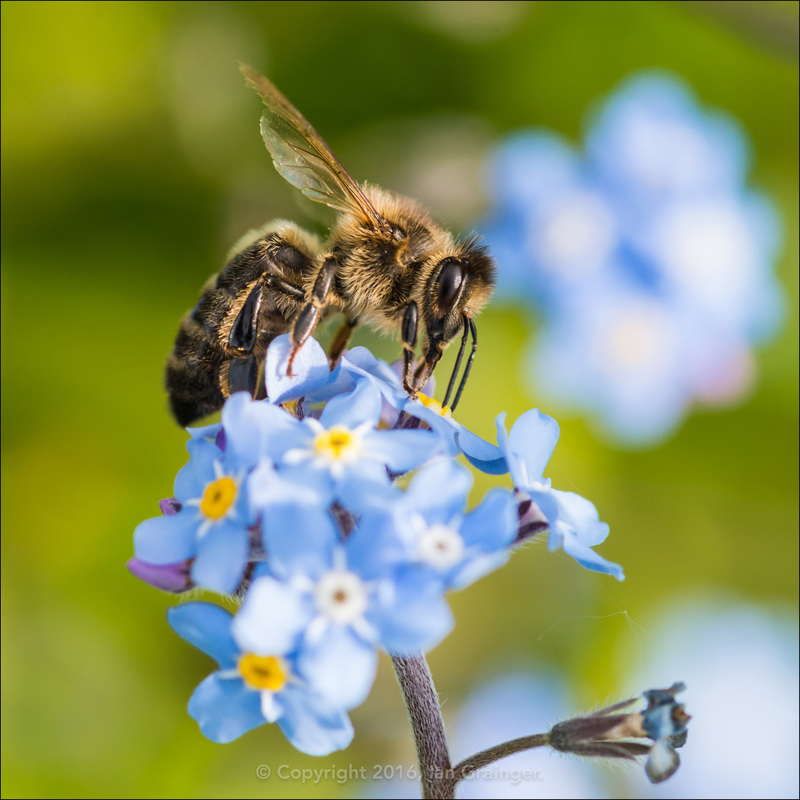 My original plan for this week was to shoot birds, and indeed, I did, lots of them, but when I saw this little Honey Bee (Apis) show up in Lightroom, I knew it was going to be my selection for my Image of the Week. I was actually spoilt for choice, as I seemed to have hit a sweet spot with this particular subject, and have half a dozen images I could just as easily have selected to post. I guess while I'm on the subject of posting insects, I'll continue with a couple more. 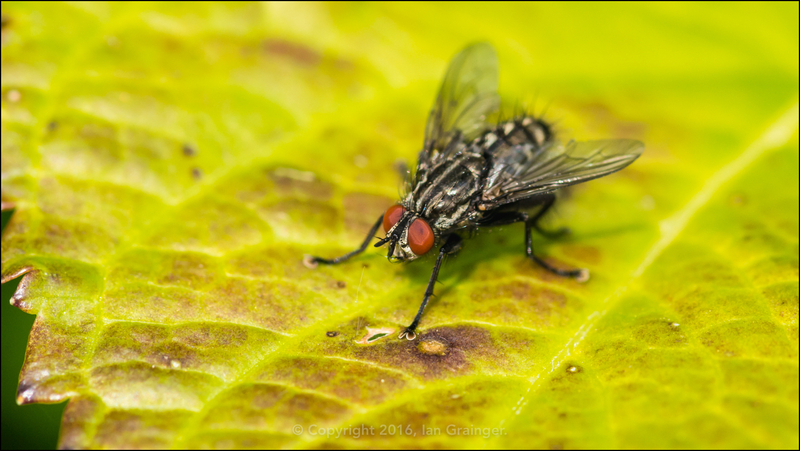 This small Flesh Fly (Sarcophaga carnaria) seemed to be enjoying the warm weather as it sunned itself on a Hydrangea leaf. 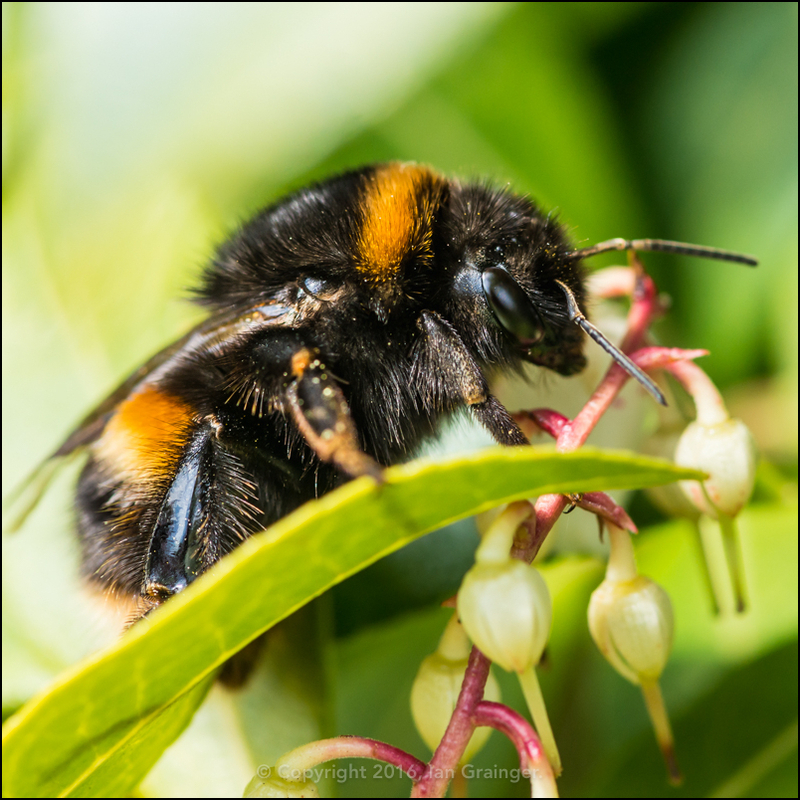 Also enjoying the warmth was this rather large Bumblebee (Bombus) as it explored the Pieris bush blossom, and collected pollen. 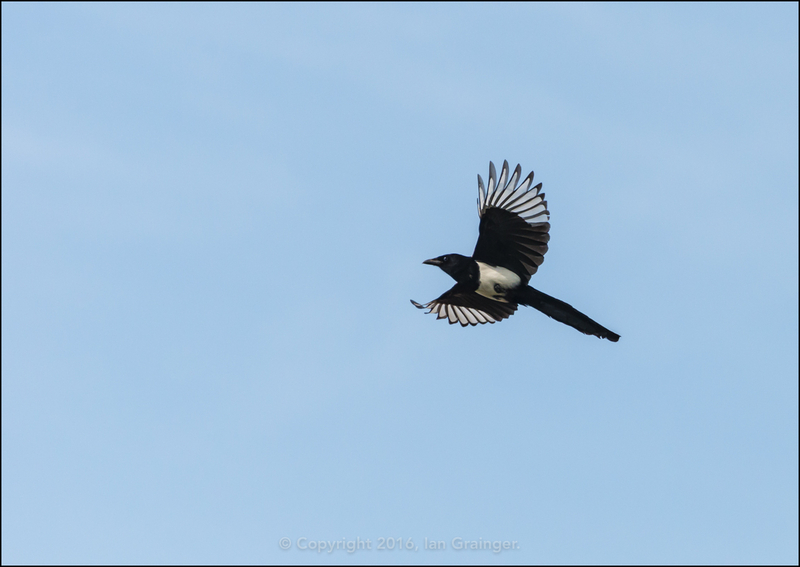 I don't know about you, but every time I see a Magpie (Pica pica), I have to say out loud, "Morning Mr. Magpie, how are your wife and family today?" 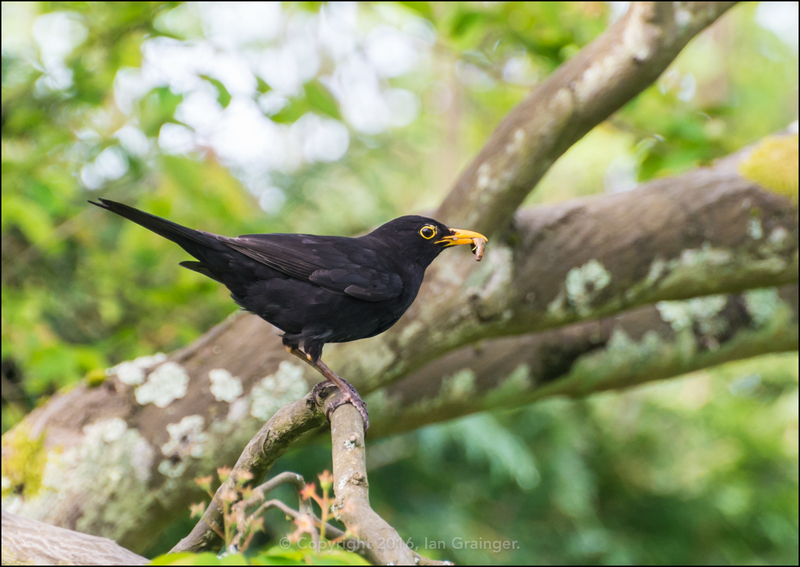 In the UK at least, seeing a single Magpie is associated with bad luck. 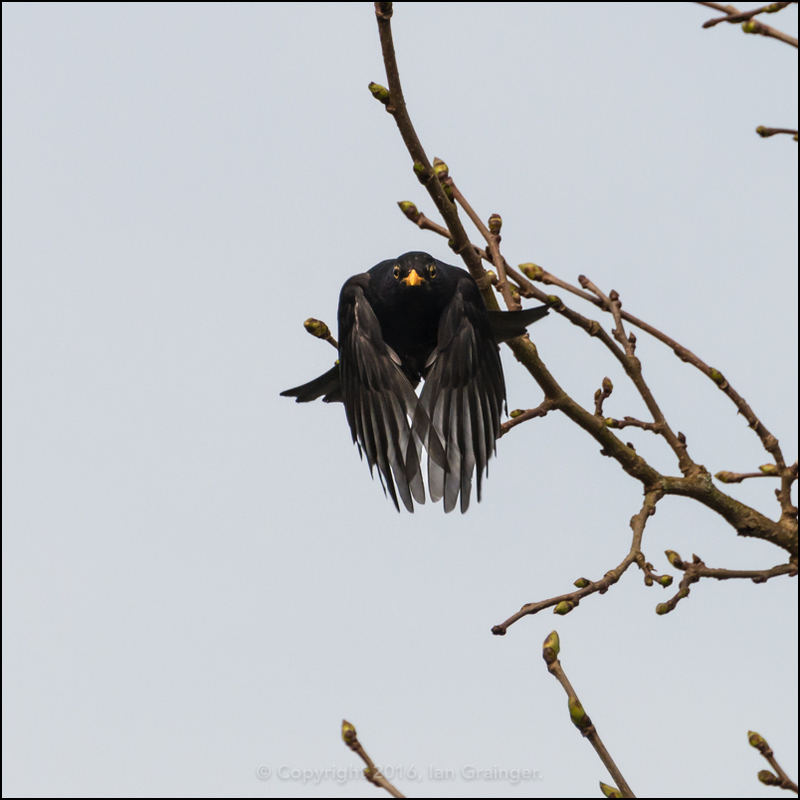 Showing respect in this way to the Magpie is supposed to ward off any bad luck your sighting may bring. Superstitious nonsense? Maybe, but knowing that doesn't stop me saying it! 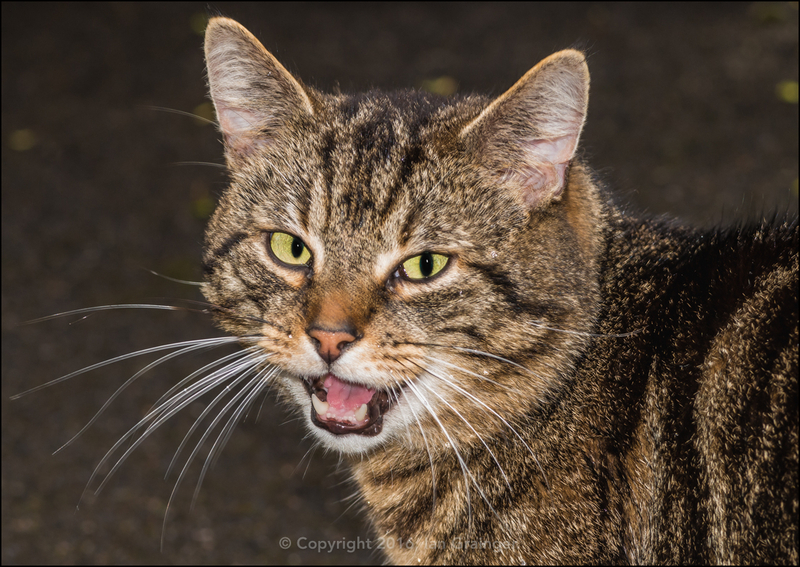 In fact a couple of minutes later he decided he was going to come over and have a word with me! 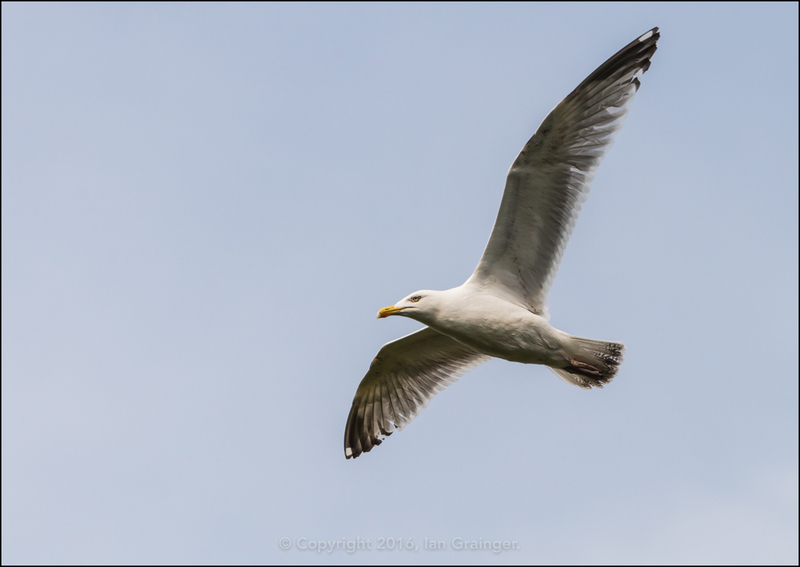 Meanwhile, a Herring Gull (Larus argentatus) passed overhead, oblivious to any impending danger I may be in from my assailant. 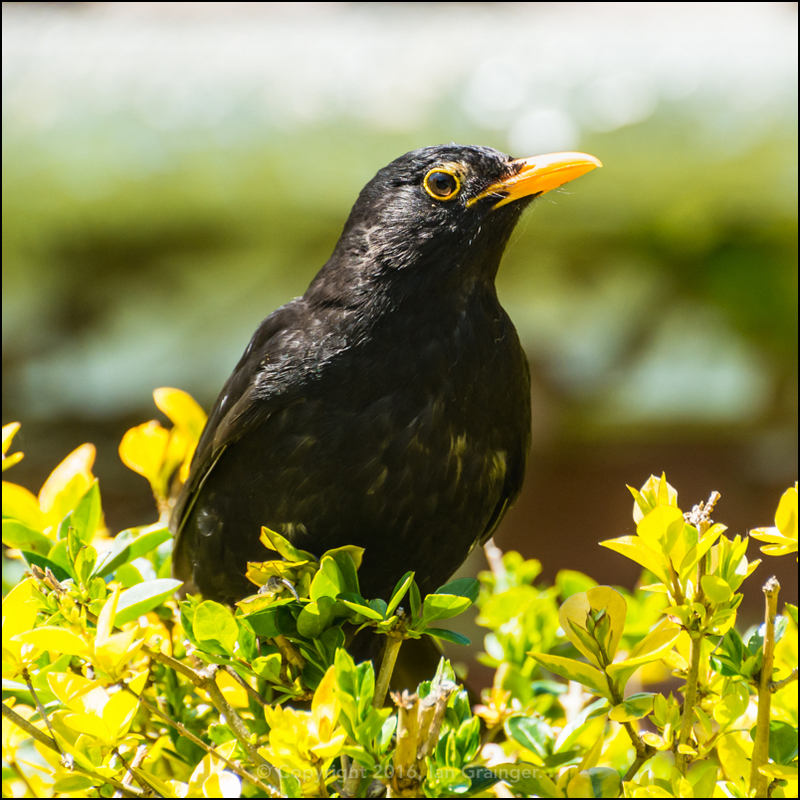 As I've mentioned many times before, one of the difficulties of shooting birds in the UK is that most of our native species are small and brown. 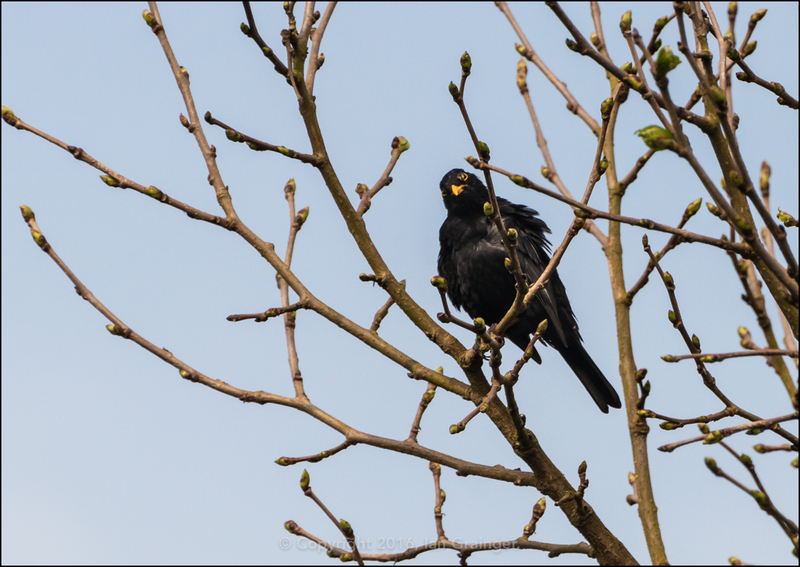 So, even if you can spot one amongst the branches of a tree or hedge, it's often not possible to get a decent image unless you have some serious glass attached to your camera. 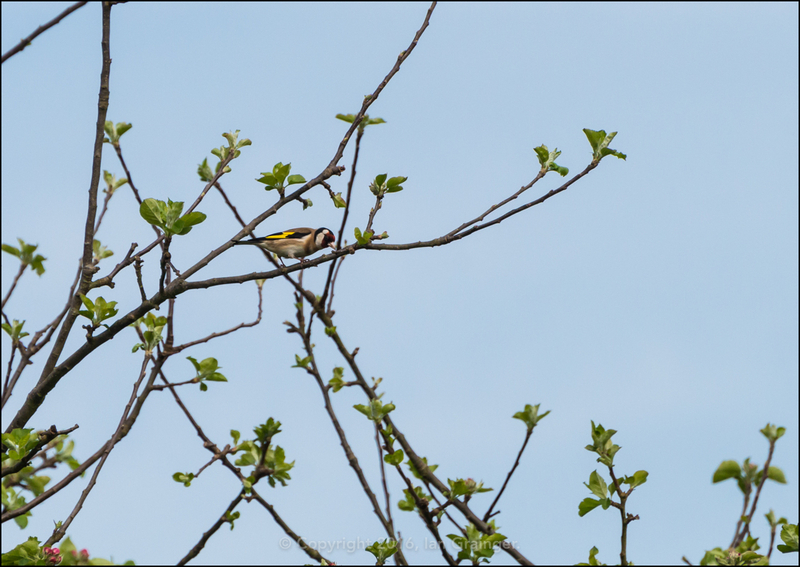 Luckily, we do have a few colourful birds that are a bit easier to spot, and this Goldfinch (Carduelis carduelis) was obliging enough to come close enough to capture at 300mm. 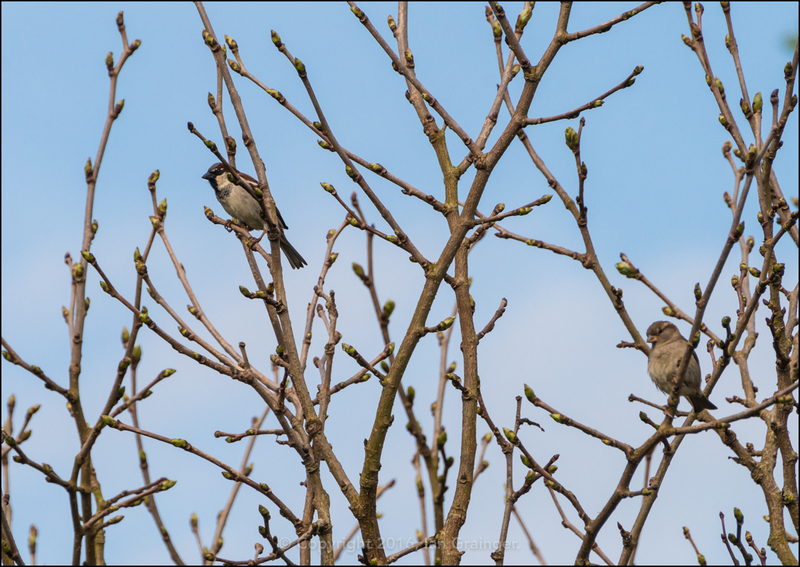 I also managed to find this charming House Sparrow (Passer domesticus) father and son pairing. 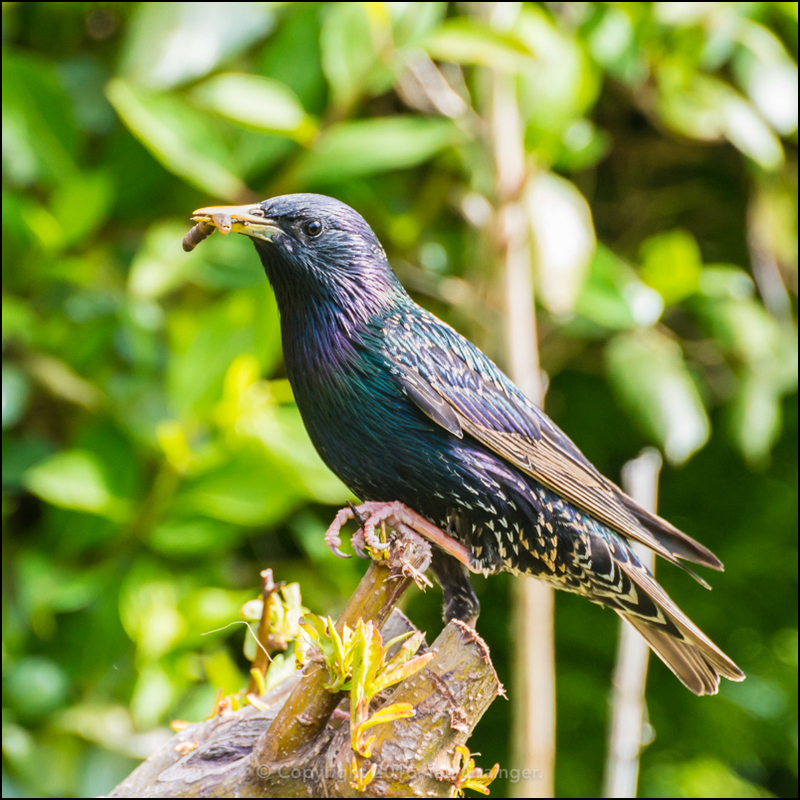 ...while I think this Starling (Sturnus vulgaris) had caught some kind of caterpillar. It had certainly done a better job than me, as I'd been looking for them earlier in the morning without any luck! 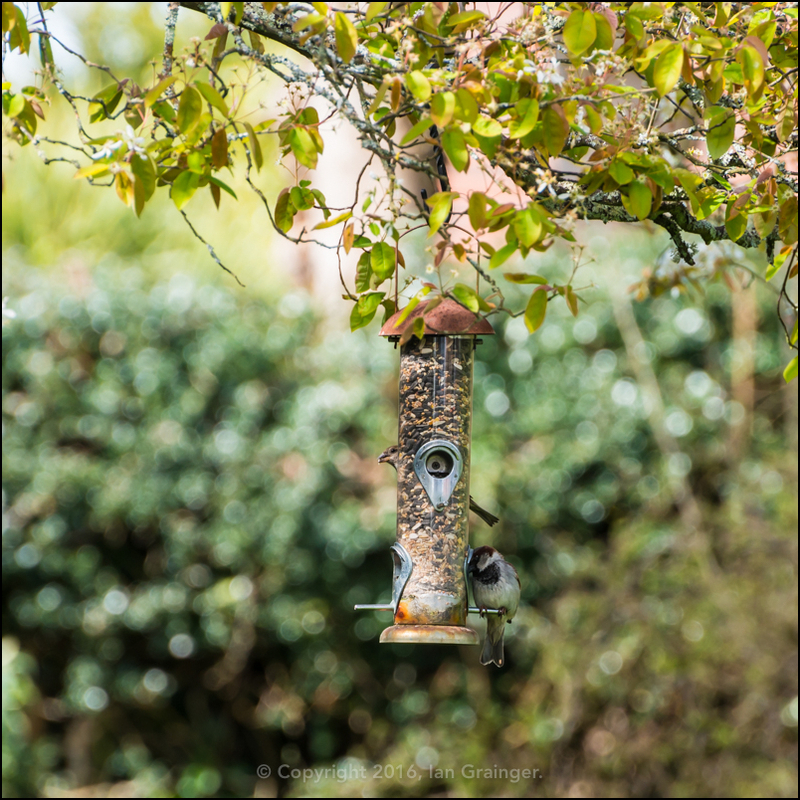 If you didn't fancy catching your own lunch, you could always stop off at the bird equivalent of the corner shop, and grab yourself a beak full of mixed seeds like these two enterprising Sparrows. 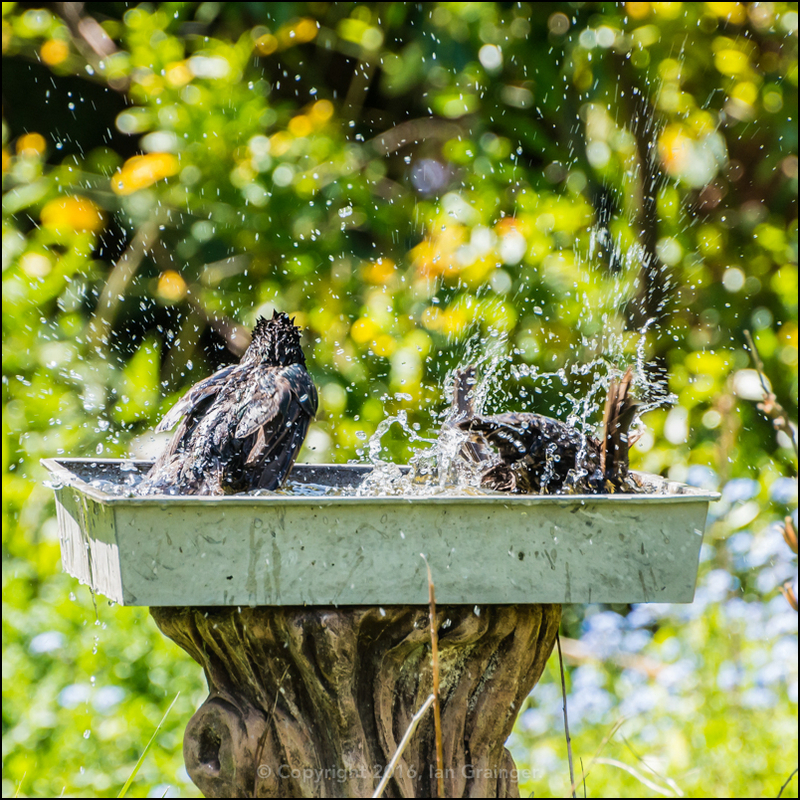 After lunch, what better way to cool down on a hot day than take a quick dip in the makeshift bird bath, made out of a seed tray, like these two Starlings? Meanwhile, my arch enemy was still keeping a close eye on me! 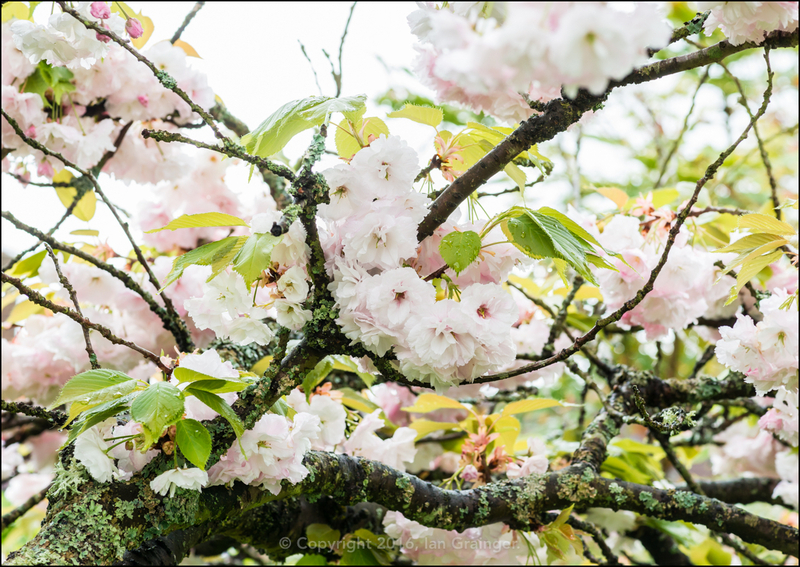 As predicted last week, my dad's Cherry Tree (Prunus) is now covered in its beautiful pinky white blossom. It's quite a sight, and the individual blooms look wonderful. It's a shame they only last a couple of weeks. There have been a few new additions to dad's garden this week. 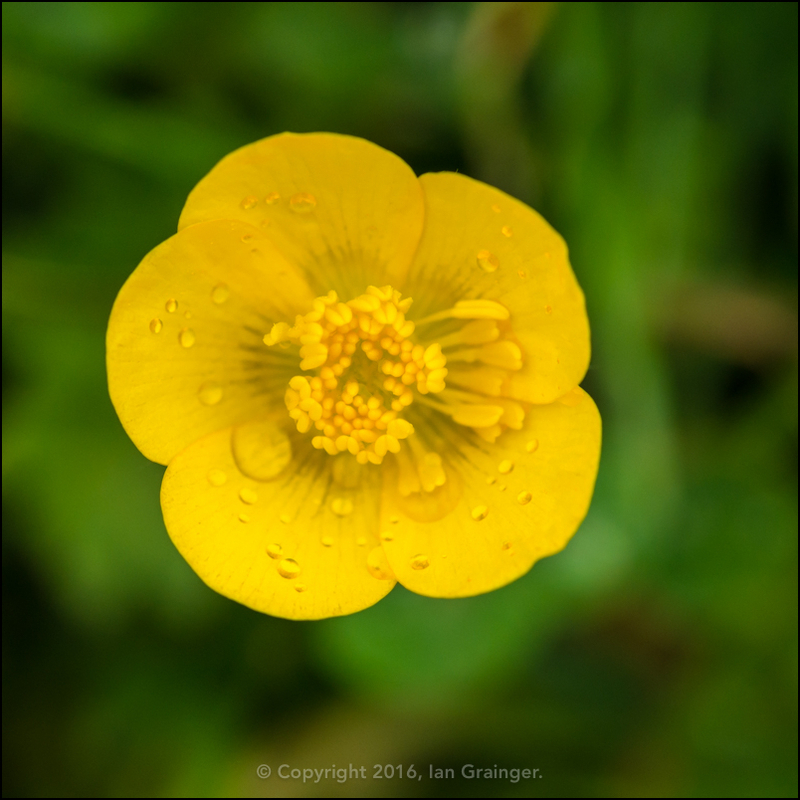 First up is a Marsh Marigold (Caltha palustris), looking very much like a Buttercup. 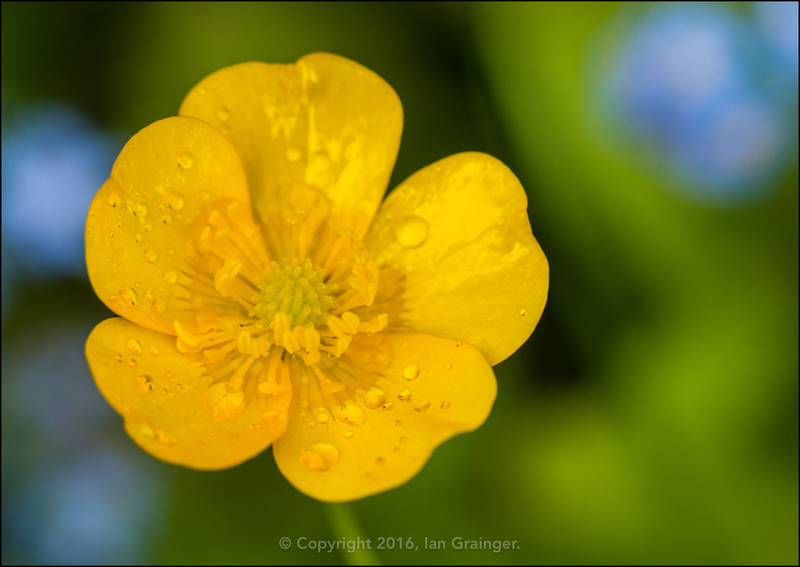 In fact the Buttercups (Ranunculus) themselves have also been putting in an appearance. 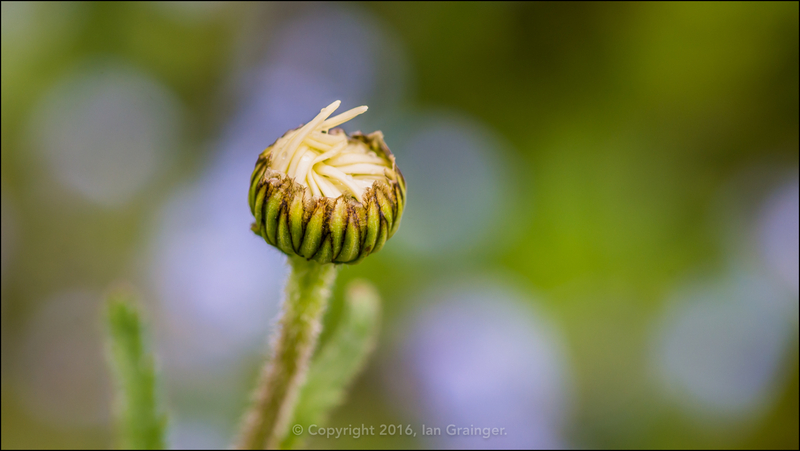 It won't be long before the Ox Eye Daisies (Leucanthemum vulgare) are here either, as they are already showing lots of flower buds. Over in my garden, something very odd is happening. 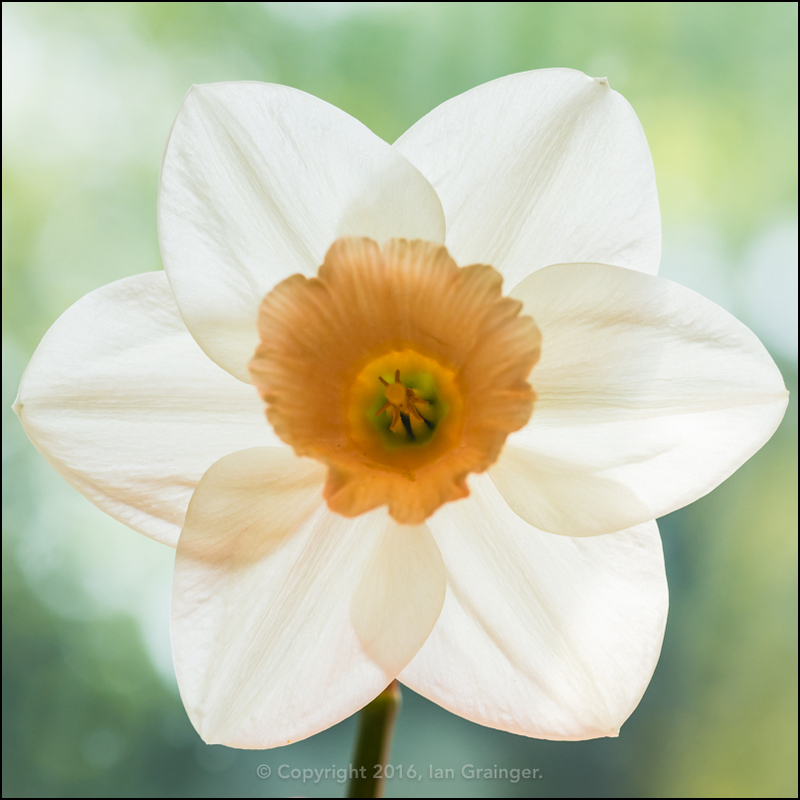 While all of the Tulips are now nearly finished flowering, I have lots and lots of Daffodils (Narcissus) just starting to open up. They would usually have finished about a month ago. 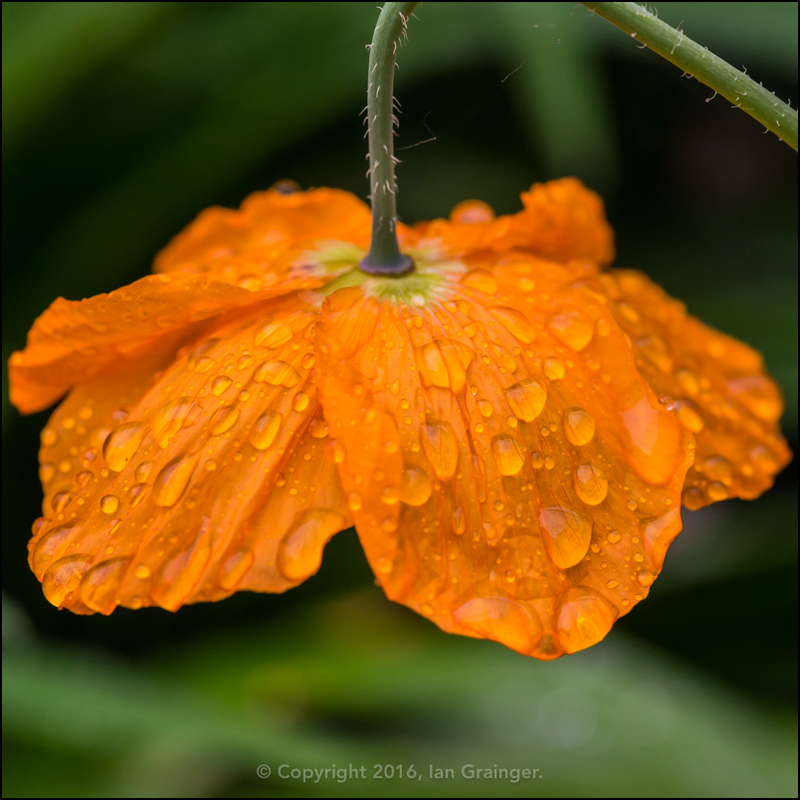 As I eluded to earlier, we've had wet weather for the past couple of days, although it seems to have encouraged my Welsh Poppies (Meconopsis cambrica) to come out of hiding. 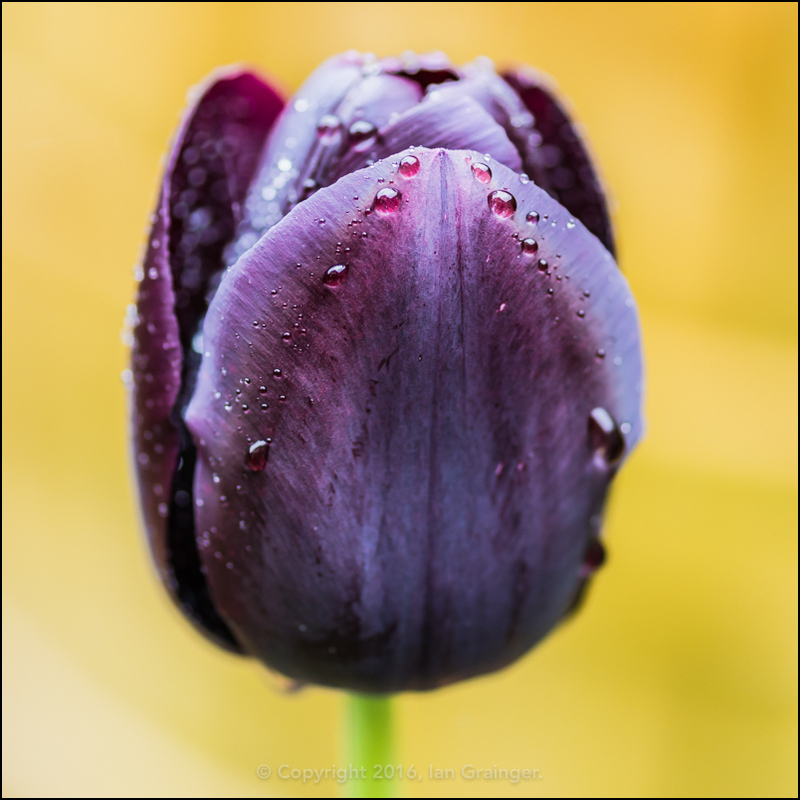 My Tulip Black Prince has also finally opened, and was looking stunning, especially so when adorned in some raindrop jewellery. 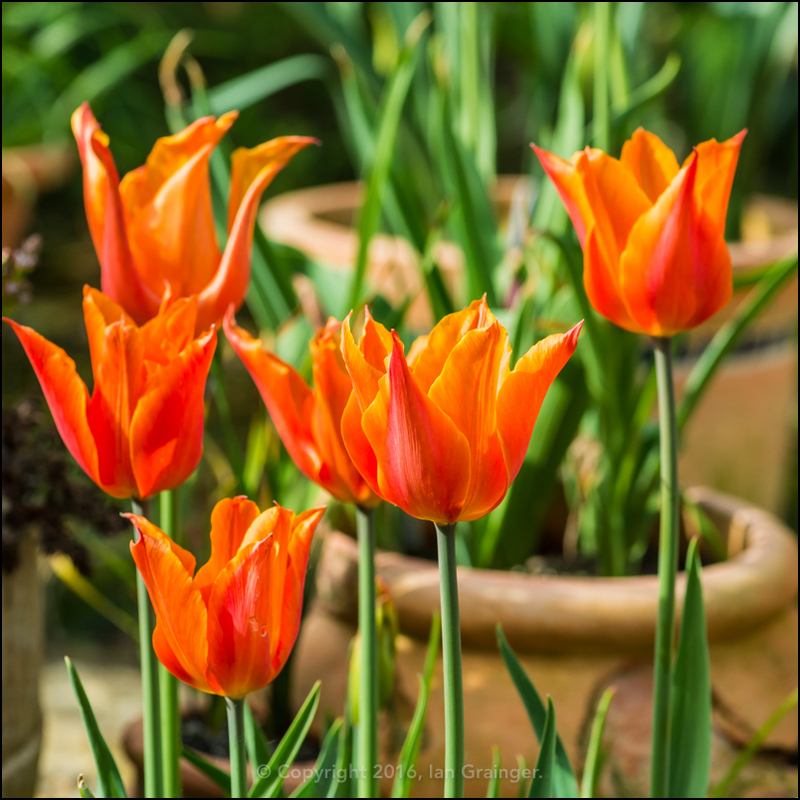 Another variety of Tulip to finally open were my Tulip Ballerina. They were looking particularly pleasant in the sunshine before the rains came. 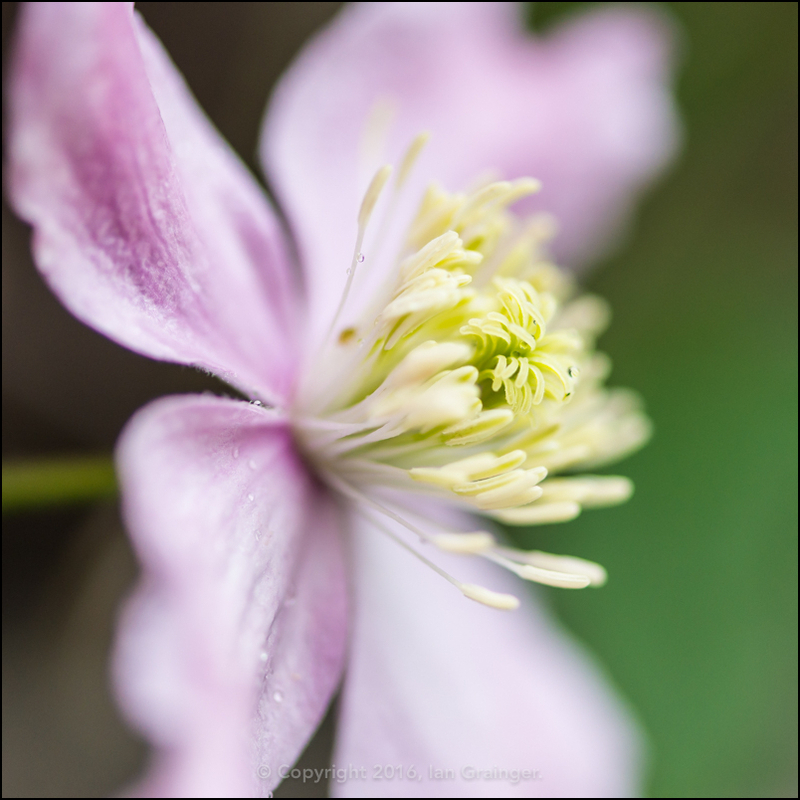 Also looking fantastic this week was my Clematis Montana Mayleen. It's reputed to be a vigorous variety that not only produces lots and lots of flowers, but also spreads easily. Just as well because I want it to completely cover my garden shed eventually! 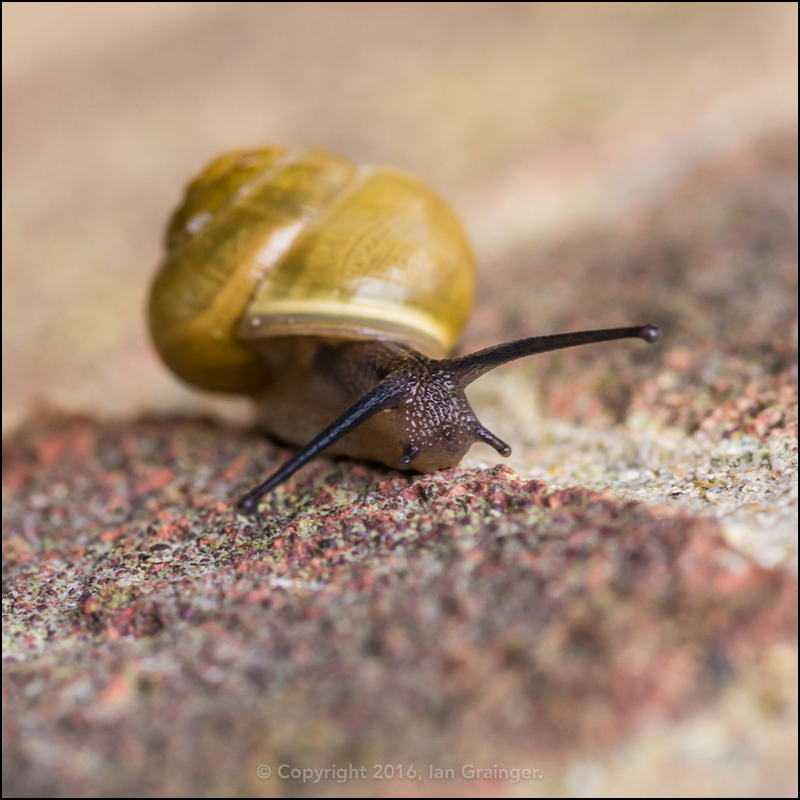 With the warmth and the wet weather came the return of the snails and slugs. My garden is plagued by snails and they seem to get everywhere. This one was climbing up the wall of the house. Finally, now that the Camellia has finished producing blooms, I need another subject that I can post weekly. I've decided that I'll try and grab a shot of the little helper that follows me everywhere when I take pictures in my dad's garden. He's certainly photogenic enough, and loves to pose!